Ali Abdel-Aal didn't specify which country he was referring to. But Cypriot counterpart Demetris Syllouris says Turkey violates international law by claiming Cyprus' offshore gas exploration areas as its own using "threats and provocations." 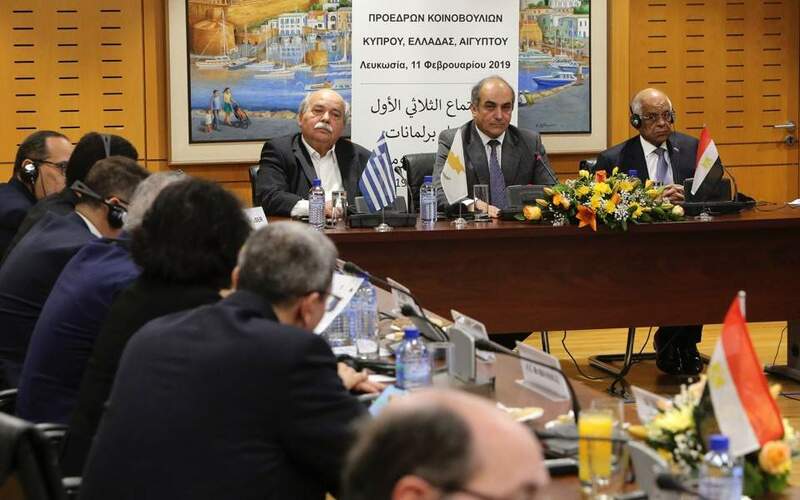 The two men were joined Monday by their Greek counterpart Nikos Voutsis for the first trilateral meeting of the three countries' parliamentary speakers. Turkey says the ethnically split island nation's gas search infringes on its own rights and those of breakaway Turkish Cypriots to east Mediterranean hydrocarbon reserves and plans to soon drill for gas around Cyprus.